"I didn't know that you did normal garage work"
But yes, its true... We most certainly do! Probably 30% of the work we do is general servicing and repair type work on normal road going cars. Its not all high performance vehicles here... we can and will tackle anything from a bulb change to an engine swop. We are also very well priced in our area with regards labour charges and check the competition on a regular basis to ensure that we remain competitive. 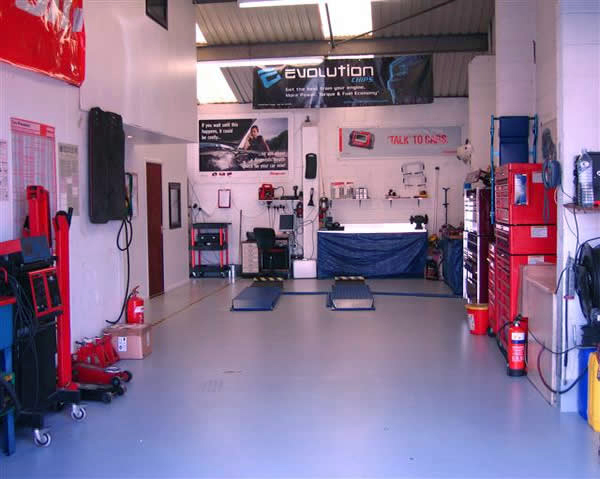 We service all customers vehicles in full accordance with the original manufacturer's servicing schedules and also always use genuine parts or parts of identical quality from an OE Manufacturer whilst still saving you up to 60% over a franchised dealers servicing price and all without invalidating your manufacturers warranty. Semi or Fully Synthetic oil as required. Genuine O.E.M Quality Oil Filter. Front and rear tyre tread depth and wear. Front and rear tyre pressures. Check and report the front and rear brake pad thickness. Check and report the front and rear brake disc thickness. Correct operation of all vehicle lights and horn. Check Power Steering Fluid, Coolant & Screen wash levels. 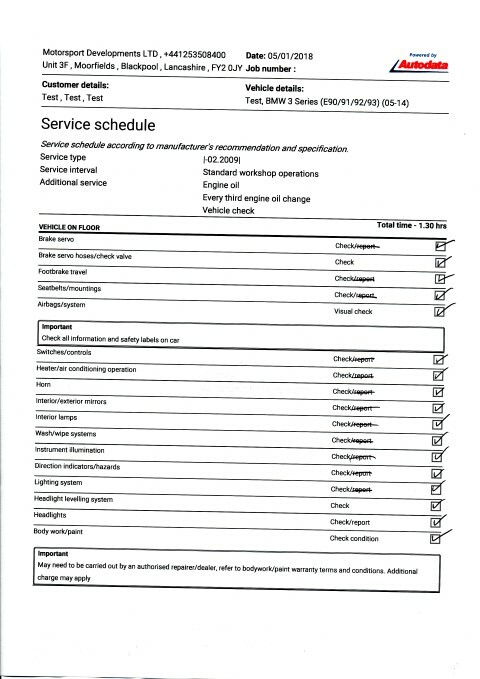 PLUS MUCH MORE... See the Service Sheets further down the page. Genuine O.E.M Quality Spark plugs. Inspect, clean and adjust all brake parts as necessary - report on condition. Front and rear tyre tread depth and wear report. Check / adjust front and rear tyre pressures. All easily accessible drive train components such as driveshaft gaiters etc. All easily accessible suspension components such as ball joints and uprights. Correct operation of all vehicle lights. Check / Top up Power Steering Fluid, Coolant & Screen wash levels. We understand that many owners don't need just an oil service, but nor do they need a full service. That's where our customised service comes in. 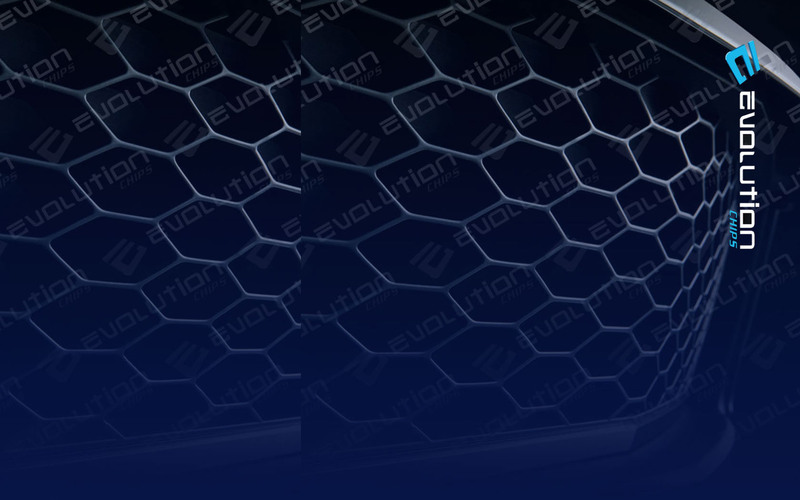 Give us a call and tell us what you want doing and we will give you a quote. 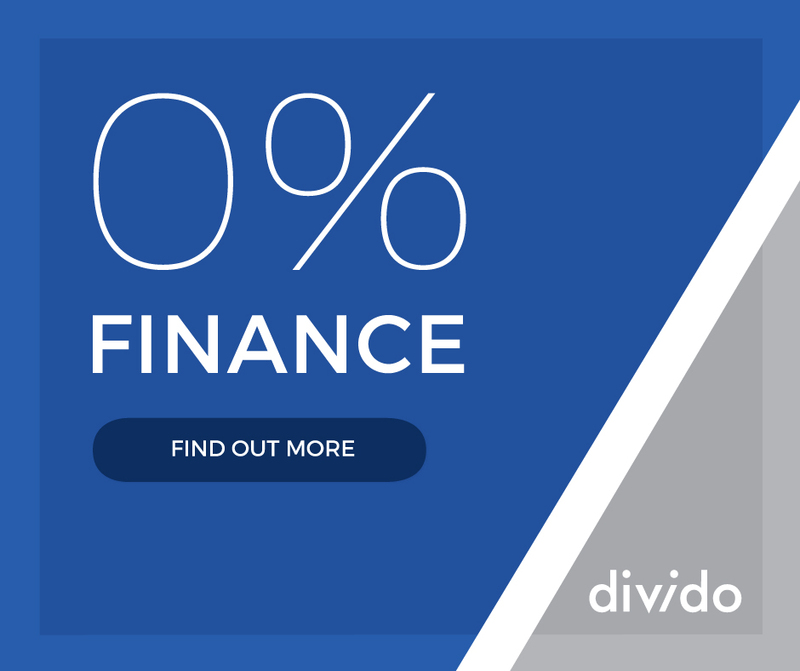 As well as the work being done to an exceptional standard, you will also always receive two other vital services from us. 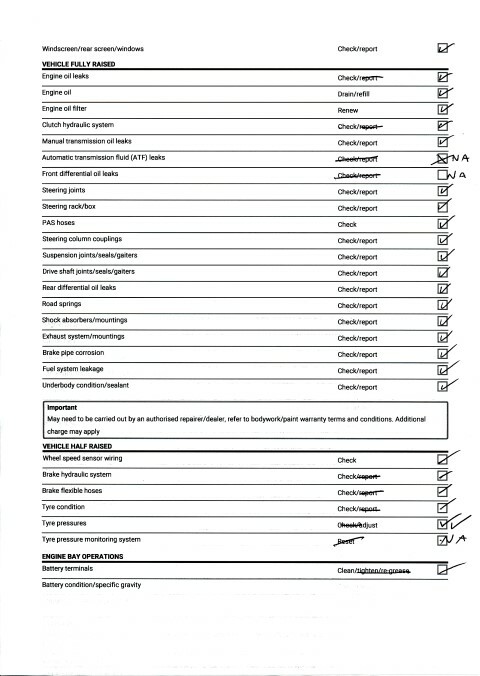 You will always receive a very comprehensive service report that many garages don't offer. This details exactly what we have done and also advises you on tyres, brake discs and brake pad condition. Right down to the tenth of a mm. 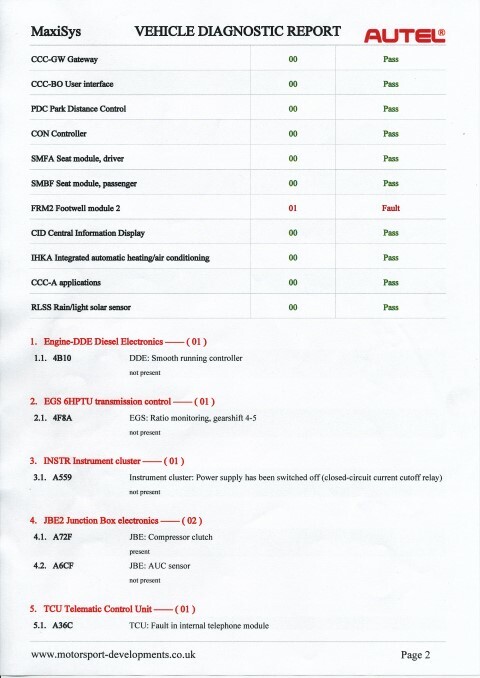 An example of such a report is below. Please flick through it. Does your current garage give you this information? 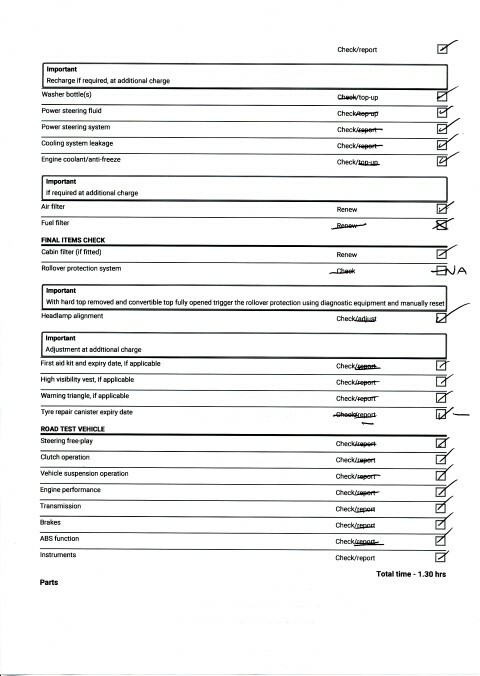 Full services always come with an engine management diagnostic scan as part of the job. 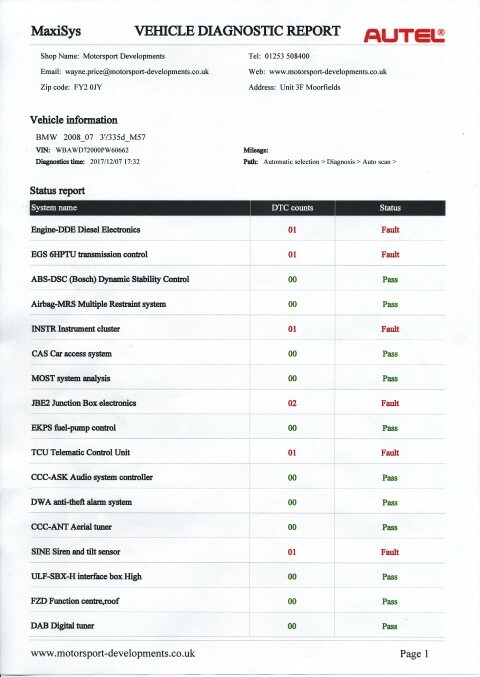 This is just a health check of the vehicles on board computerised systems and allows us to ask the computers (some vehicles have more than 60) to gives us data about current, past and pending faults. 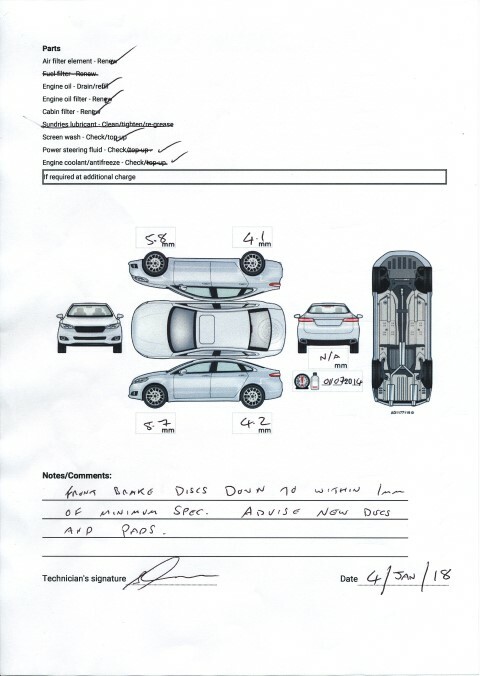 We may use Snap On, Autel, Hella, Bosch or a combination of these tools to access your systems, but importantly, we will always create a report for you giving you all of the data we received in an easy to understand manner.